Salvage treatment including surgery and radiotherapy (RT) for recurrent or progressive meningioma is not an easy task, especially for the skull base location. And yet, criteria for adjuvant radiotherapy after initial surgery are not clearly defined for WHO grade I/II meningioma. We determined prognostic factors for recurrence and evaluated the benefit of risk group-adapted adjuvant RT for WHO grade I/II meningioma in the skull base. We reviewed 272 patients who underwent surgery and were pathologically confirmed with WHO grade I or II skull base meningioma between January 2000 and July 2017. Subgroup analyses were performed for WHO grade I (259 patients) and WHO grade II (13 patients) meningiomas to evaluate the benefit of RT in each subgroup. Patients with WHO grade II meningiomas tended to present more neurologic symptoms and to receive RT more frequently. In prognostic factor analysis, tumor size (p = 0.039), surgical extent (p < 0.001), and RT (p = 0.005) were associated with recurrence-free survival (RFS). In subgroup analysis of WHO grade I, RFS was significantly better in RT group after matching other variables. 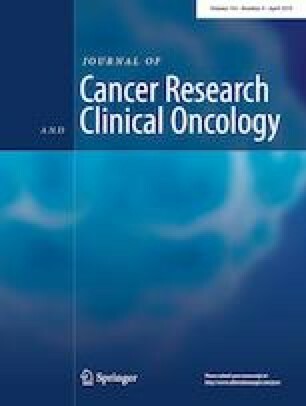 The risk stratification was performed using three risk factors (petroclival location, tumor size, Simpson grade) in WHO grade I patients, and significantly different RFS was observed according to the risk group in non-RT patients. Tumor size, Simpson grade, and adjuvant RT were prognostic factors. The risk group-adapted approach can facilitate the selection of patients who may benefit from adjuvant RT for WHO grade I/II skull base meningiomas. The online version of this article ( https://doi.org/10.1007/s00432-019-02891-6) contains supplementary material, which is available to authorized users. Basic Science Research Program through the National Research Foundation of Korea (NRF), funded by the Ministry of Education, Republic of Korea, Grant/Award Number: (2017R1D1A1B03035047); Korean Health Industry Development Institute funded by the Ministry of Health and Welfare, Republic of Korea, Grant/Award Number: (HI15C0638). The authors report no conflict of interest concerning the materials or methods in this study or the findings specified in this paper.